At WeKleen, we believe that protecting the environment is part of our corporate responsibility. That is why we use products and practices that help maintain an environmentally safe workplace for our clients. 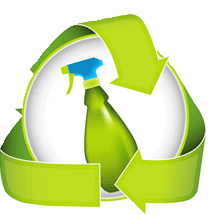 Our Green Kleen approach includes the use of Green Seal™ certified clean air vacs to reduce airborne articulates and improve indoor air quality; EcoLogo® certified recycled and post-consumer waste (PCW) paper products; and safer, environmentally-friendly cleaning solutions. To learn more about WeKleen’s Green Kleen options or to customize a cleaning green solution for your company, contact us at 301-645-6900.